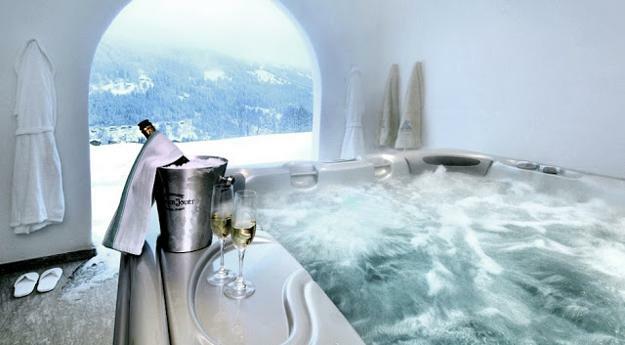 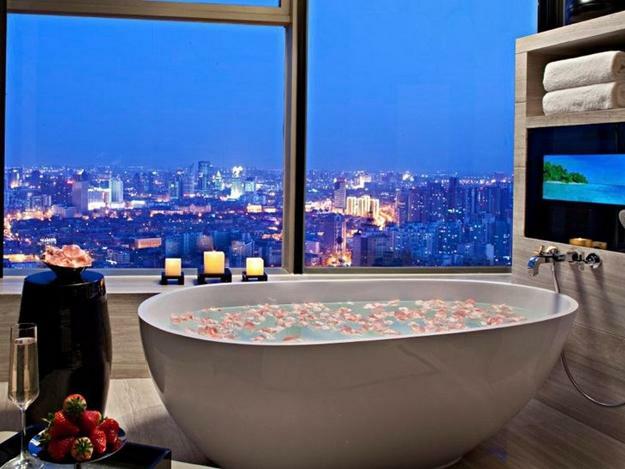 Romantic bathroom design and decorating ideas can set a glamorous, idyllic atmosphere for original Valentine’s Day gifts of relaxation and romantic experiences. 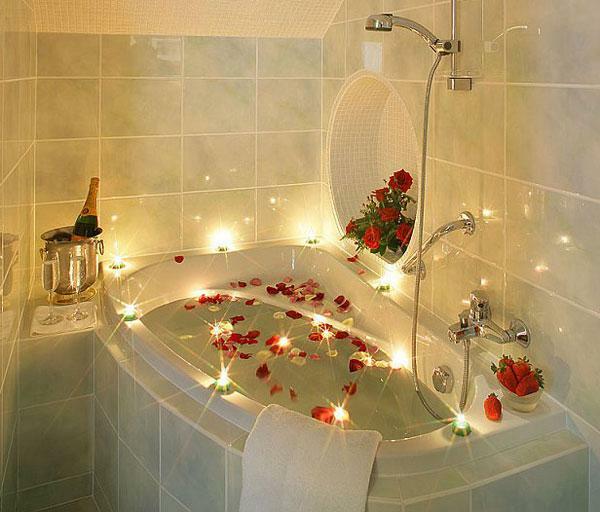 Bathroom tubs, surrounded by candles and decorated with flower petals, are extraordinary, sensual and luxurious Valentines Day gifts. 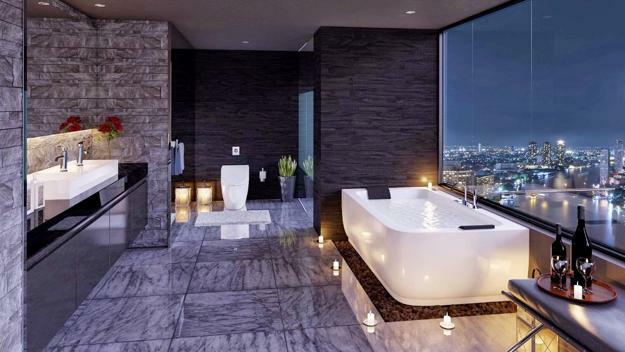 Lushome shares a collection of romantic bathroom decorating ideas and elegant baths set indoors and outdoors for the romantic evening. 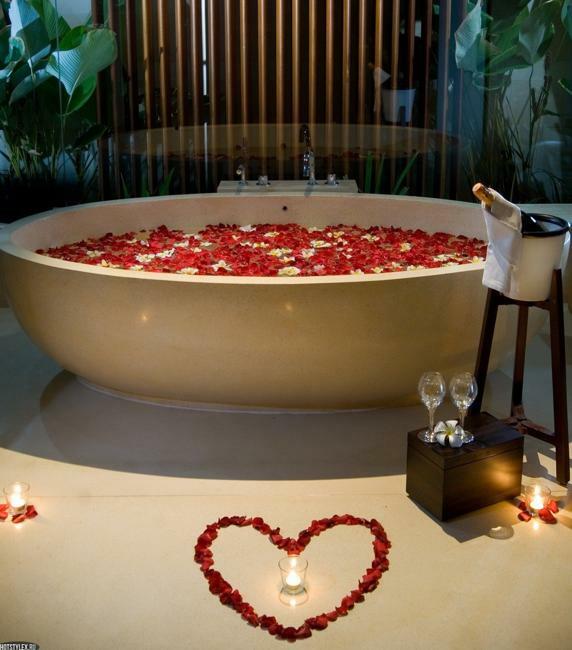 They give great inspirations for decorating your home and preparing the fabulous, sensual, and beautiful Valentines gift for your loved one. 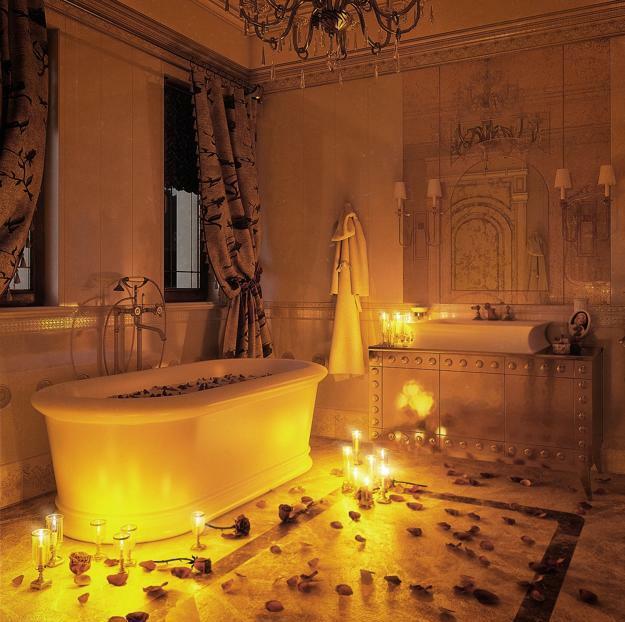 Romantic Valentine’s surprises include creating beautiful surroundings for a special night and exciting experiences. 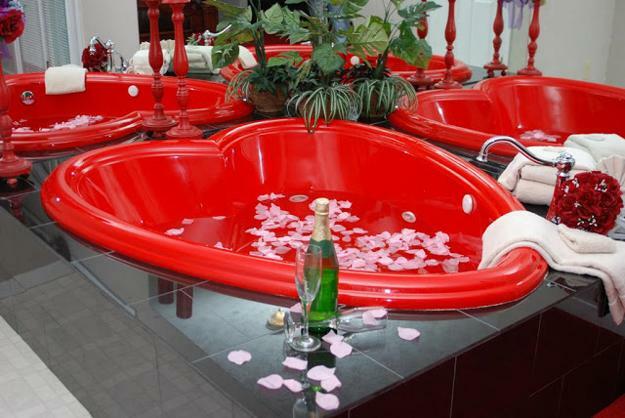 Decorated with candles and lanterns, a bathroom tub or outdoor hot tub is a fabulous Valentines Day idea. 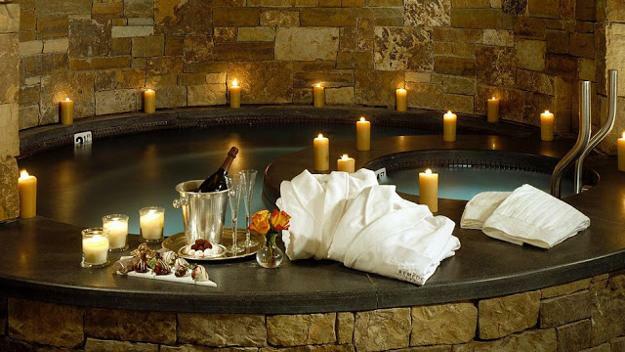 This romantic gift for Valentines Day is ideal for lovers who want to enjoy sensuality and excitement of the special day, and for all who appreciate glowing in the dark beauty and relaxation. 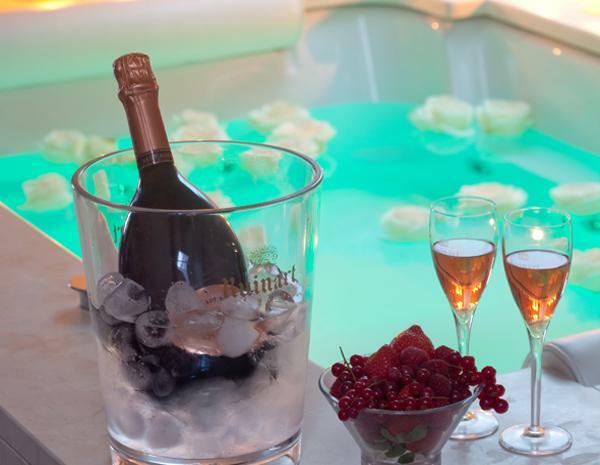 Making the Valentines night the night of pleasure, love and romance brings fresh, sensual delights into life and turns up the heat. 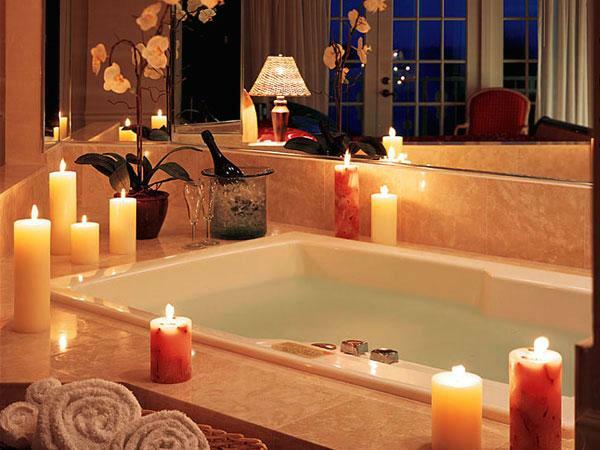 Mysterious candles and warm baths help relax and lift the spirit. 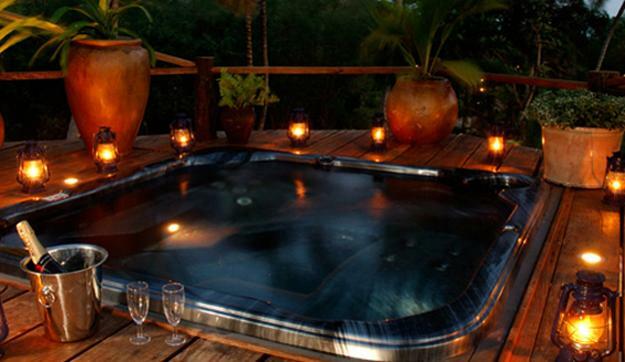 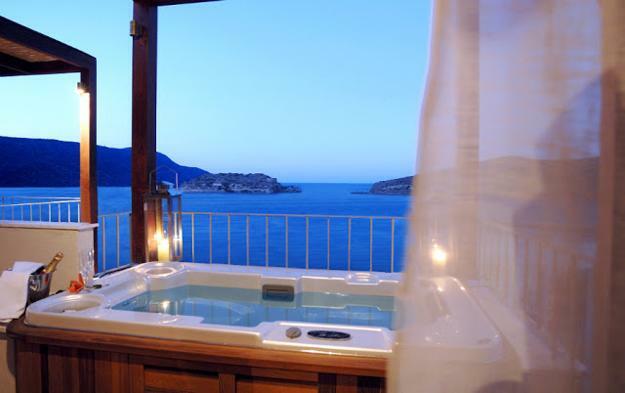 Decorated with lights bathroom tubs, swimming pools or outdoor hot tubs invite you and your loved one to share your secret fantasies, warm feelings, and dreams. 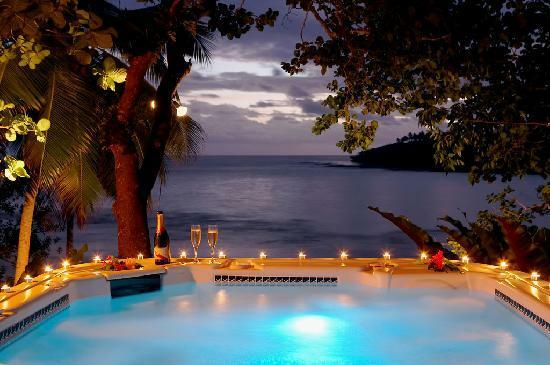 Candles and lanterns add charm and beauty to all Valentine’s Day ideas, but create especially gorgeous and spectacular displays around the water, spice up outdoor living spaces and bathroom decorating with softly glowing in the dark, romantic lights. 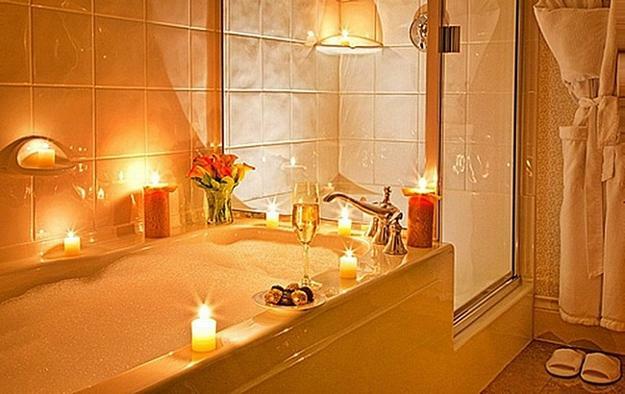 Bubbles, flower petals, candles, and glowing lanterns are excellent home decorations for Valentines Day. 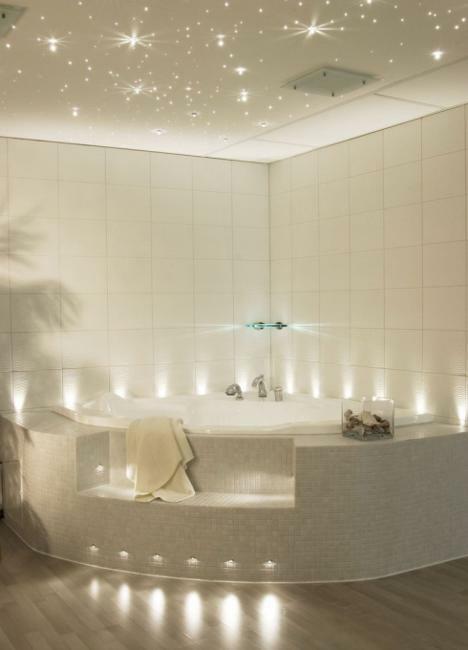 Creative lighting design and fragrant essential oils increase the romantic effect and turn your home into a luxurious spa. 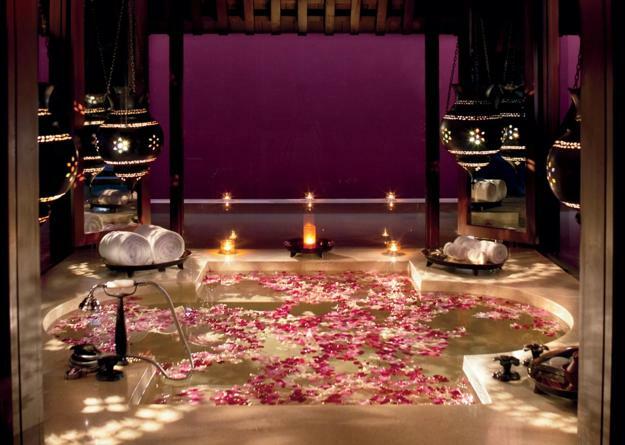 Candles and lanterns are perfect additions to the most romantic evening. 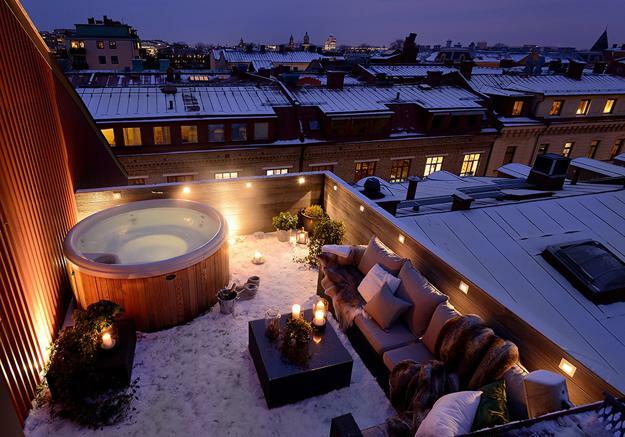 Get inspired, steal the look or create something unique to romanticize yourself and your partner.